BGSNPS is founded by Pontiff His Holiness Jagadguru Sri Sri Sri Balagangadaranatha Swamiji of Adhichunchanagiri Math, who over the past has strived hard to promote educational institutions of international stature. Sri Adhichunchanagiri education trust is running over 350 educational institutions including medical and engineering colleges. * The school library is equipped with Good Number of Books, for academic as well as entertainment. Both our children (aged 3.5 and 5.5) go to BGS. They are in PP1 (Nursery) and PP3 (UKG). We are quite happy with the school. 1) The school is close by. 2) The campus is clean, green and airy. The classrooms are roomy with sufficient light and air. 3) They have maintained the student\ teacher ratio for the last 3 years that my son has attended (2 teachers for PP1 and PP2, and 1 teacher for PP3). 4) They are open to suggestions and both the principal and pre-primary coordinator are accessible. 5) All the teachers that I have had an interaction with seem kind and enthusiastic. 6) They have a bunch of extra curricular activities. 1) They have really grown in size, they now have 8 sections per class. So it seems like an individual child might be a little overwhelmed and lost in the system. 2) There is some level of teacher attrition, although I have heard that this is a problem in most schools. Both my Kids (aged3.5 and 7) go to BGS. We came back from US and we concerned how our first son would adjust if he would start with 1st Grade in India for CBSE. He was able to adjust quickly and teachers were very supportive. Teachers would respond very well during our interactions with them. We are quite happy with the School and they encourage extracurricular activities. It is a very popular school in south Bangalore. 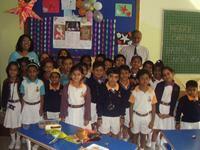 They have excellent in fracture ,Play ground, auditorium,smart class, excellent staff and proactive Principal. Fees is also moderate compared to other schools. I am very happy . Their admissions start 16th of August every year. I thought this is going to be high standard school which will provide focused education and approach in all facets, wholistic development of the children. It is like any ordinary municipal school which needs lot of improvement. Very long way to go. 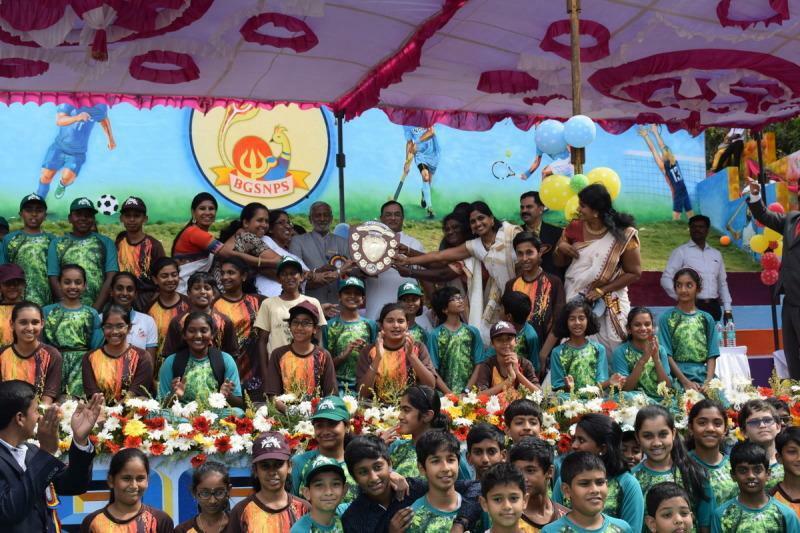 Unfortunately Bangalore schools are not upto the mark and they could not provide best education due to lack of good faculty, mediocre knowledge on creating study modules and high level of English standards, Excellent environment for sports, curriculum etc due to various reasons. Education is a commercial phenomenon in today's world and there are no fundamental value systems, ethics in teaching and providing adequate inputs even by extra classes. And learning and development is always in question, hence we have to look for outside tutions. Rating : 2, ABC of life Always Be careful. The rating is only for Infrastructure. Being a parent of this school for the last 5 years I can say that it is a school which imparts 21st century learning. If you assess the performance one can easily say that it is one of the best school in this area. 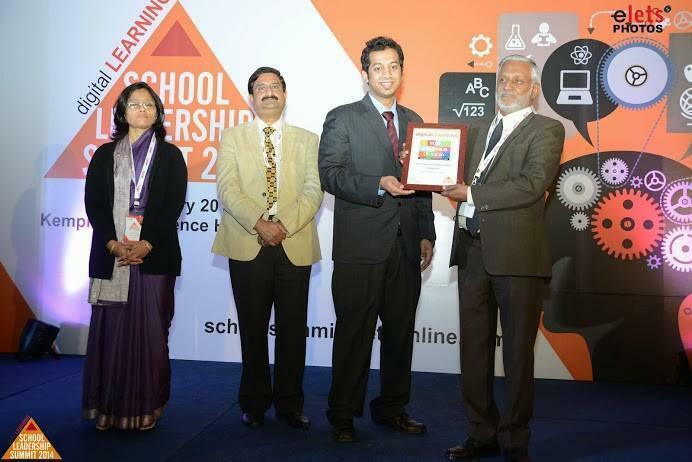 It has collaboration with many organisations such as British Council, Oracle Academy, Shyner Electrics, CMC,TERRI etc. TIMES NOW channel has highlighted some of their activities recently. Deccan Herald came out with half a page coverage of their projects. DIGITAL Learning magazine's recently condected survey shows that this school is one among the ten top nschools of Karnataka. Three of their teachers have gone to UK under teacher exchange program. One student of their has gone to USA to show case the online project created. The list of their achievent goes on. As a parent I can say that:-This school takes care of all areas of Education-Academic, sports, activities, Science projects, Technology , values etc.More over managed by a Trust which is very popular in Karnataka. The Principal is a very senior educator who has a vast experience in the field of education. They are very particular about overall discipline of the students. Infrastructure wise very good and all teachers are sincere and devoted to their work. Hence any parent can select this school for their ward. BGS NPS is a new generation school with ficus on developping 21st century skills. We have lots of expectation from this school. Today (on 19th March 14) witnessed a wonderful program-Graduation Day. We parents congratulate the Management, Principal and the staff of this great institution. May this become the best in the country. cons: Teaching and individual attention is not up to the mark. Lots of extra activity/load to parents. By when will we get to know the shortlisted students list for 2019-20 admissions? Is it possible to get admission for LKG in BGS NPS school seats will be available ? What is the minimum age for lkg, my son Dob is 1aug 2012.i want information for the session(2016_17)? when 2016-17 admissions will start? What is the minimum age for LKG? What will be the fees and admission fees for LKG? And for 2016 session when I will get the form? This year due to some reason or other they are reducing the number of sections. It is most unfortunate and many of us are not getting admissions.It is high time that we should approach the management. Approximately 1.3 LAC including 50K donation. Infrastructure is good but teaching is pathetic. My son is studying in this school. He is not at all happy. Teachers always scolding.SST teacher are not at all good. They don't have subject knowledge. Without explaining they are giving note.How they are taking teachers.Their maths teacher is taking english and science teacher is taking SST .If you go through deeply then you can understand.